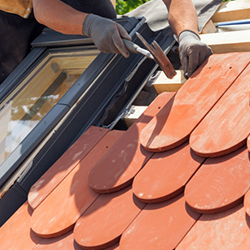 When you think of roofing materials, what comes to mind? Shingles are a common first thing to think about because they are the primary material that is seen on a roof, and they are the first point of contact between your roof and the elements. When it comes to roof shingles, there are a lot of options to choose from. At Rock Solid Exteriors, we strive to give you the highest quality roof installation service, and that includes educating you about the different kinds of materials available. In this blog, we’ll discuss the basics when it comes to shingles and some of the different types of roofing shingles so that you can find the best kind of shingles for your roof. Asphalt shingles are among the most popular and affordable shingles out there. There are a variety of sizes, colors, and styles to choose from. Additionally, many meet Energy Star standards, which will help you save money on your energy bills. They are waterproof, fireproof, and flexible enough to hold the weight of snow. A drawback to this kind of shingle is the fact that they do not adapt well in climates where the temperature frequently and suddenly fluctuates.They are made of a weaker material, making them more prone to damage than other kinds of shingles. In constantly fluctuating temperature conditions, asphalt shingles are likely to crack. Fiberglass shingles are made from a fiberglass base and layered with a waterproof coating. They are made by overlapping wet fiberglass and using an adhesive to bind it. Then, this receives a coating of asphalt blended with mineral fillers to make them waterproof. These shingles are fireproof, waterproof, lightweight, affordable, UV resistant, and more durable than other types of shingles. Wood shingles are right in the middle between affordable shingles and expensive shingles. They are more environmentally friendly than other types of shingles, they are durable, they last up to 50 years, they are energy efficient, and are available in different kinds of woods for different looks. They are a versatile shingle, perfect for giving your home a unique look. However, one of the largest drawbacks to these shingles is their likelihood to catch on fire. In addition, they are more likely than other types of shingles to suffer the consequences of mold or termites. Three-tab shingles are affordable, but they have the same 20-30 year lifespan as asphalt shingles. They have cutouts running along the bottom edge, which gives their appearance more depth. It appears that there are three shingles in one. They are made with cutouts, and give your roof a unique look. A significant drawback is that they are not as strong as some of the other kinds of shingles. They are prone to cracking and breaking with significant changes in the weather. Architectural shingles are among the highest quality shingles on the market. They are similar to three-tab in their appearance, however these shingles aren’t made with cutouts. They are also made with extra asphalt, which gives them more curves and extra durability. They are composed traditionally of a heavy fiberglass mat base and coated with mineral granules to make them waterproof. They are waterproof, but aren’t recommended for roofs with a low slope. 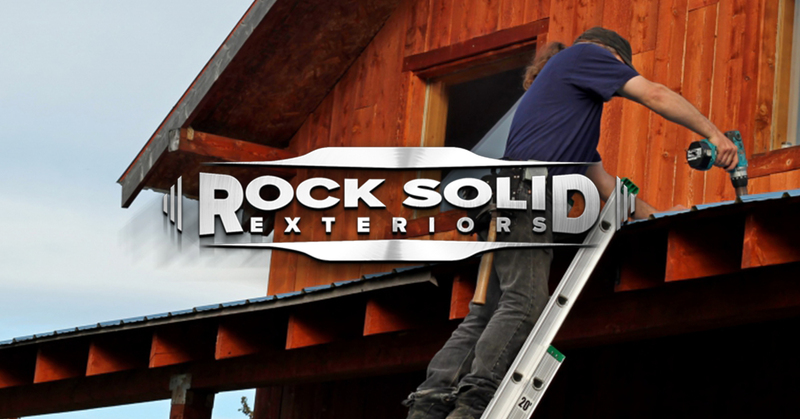 At Rock Solid Exteriors, we are committed to superior roofing installation. When we install shingles, we don’t just stop there. Our roofing contractors also install insulation to make your roof as efficient as it can be. Contact us today to learn more about our roof replacement services.